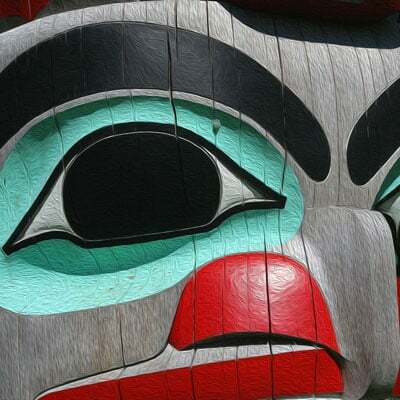 The most exhilarating salmon fishing in Canada happens on the remote islands of Haida Gwaii in the Pacific North West. 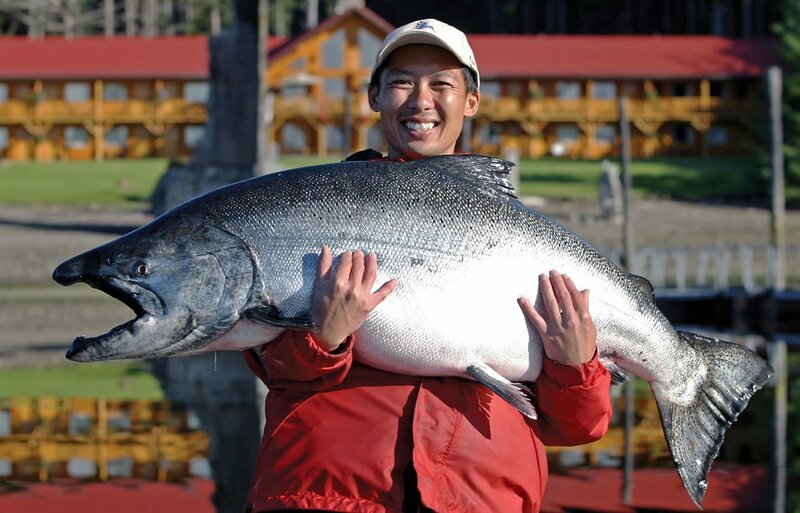 Experience a Canadian salmon fishing trip that not only offers some of the most consistent salmon fishing to be found but also offers a truly unique experience in an extremely rare and magnificent part of the world. Surround yourself with an amazing range of abundant wilderness, wildlife, and lush green coastal rainforests. Feel the salt water spray gently graze your face as you set out on the Pacific at dawn to battle the legendary Chinook (King) Salmon. 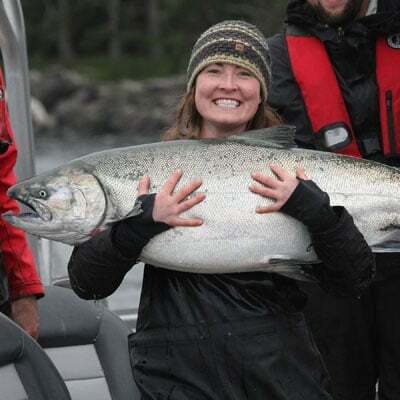 When Is The Best Time to Book My Salmon Fishing Trip To Canada? 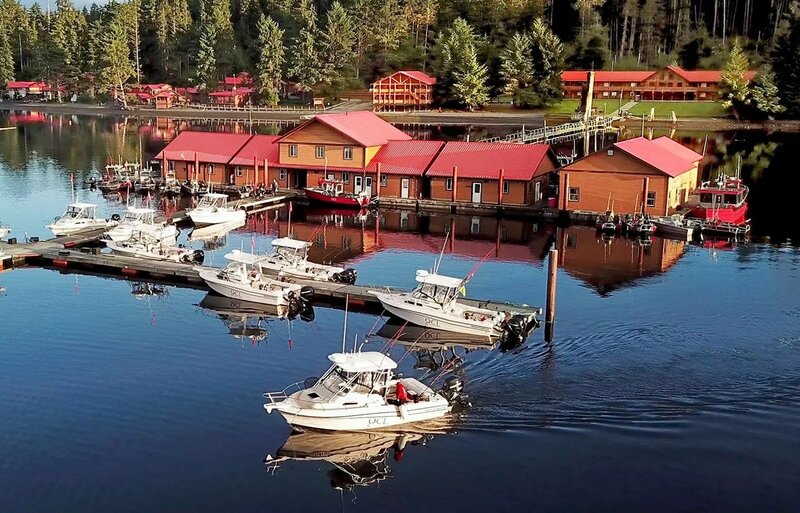 Queen Charlotte Lodge enjoys the perfect setting and location to access the finest and most consistent salmon fishing in the world. 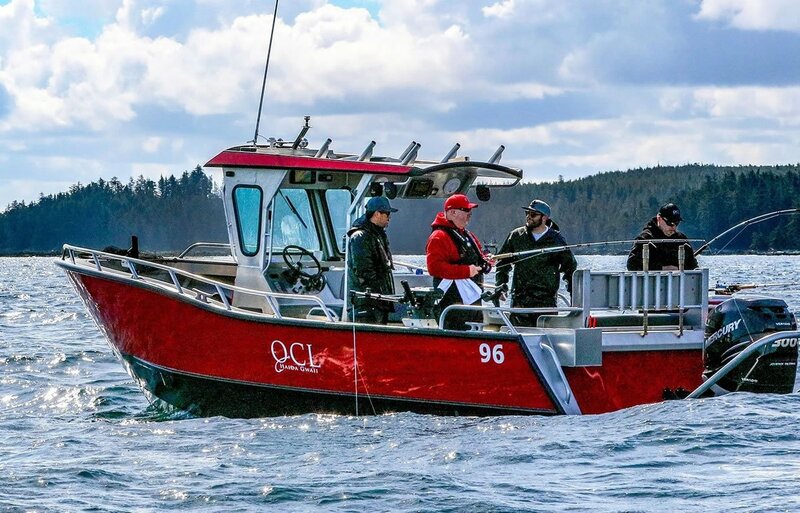 Vast numbers of Coho and Chinook (King) Salmon feed along our shorelines every day of the season and we’re proud to offer a 2 trips per week during our 100-day season which means that any trip, anytime, can be the best time for Canadian salmon fishing! We enjoy some of the most consistent fishing on the West Coast – there’s really no high season and low season. 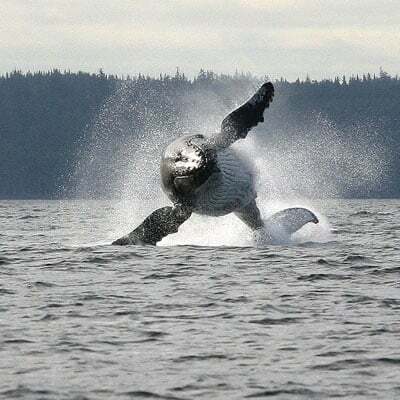 Our fishing program is designed to take full advantage of all the great fishing opportunities available in Haida Gwaii. The fishing grounds at QCL are located at the gateway for salmon returning to their spawning streams and rivers up and down the Coast. This locale provides some of the most consistently exciting fishing to be found anywhere! Tell us the details of your dream fishing getaway, then sit back, relax and let us handle everything else. 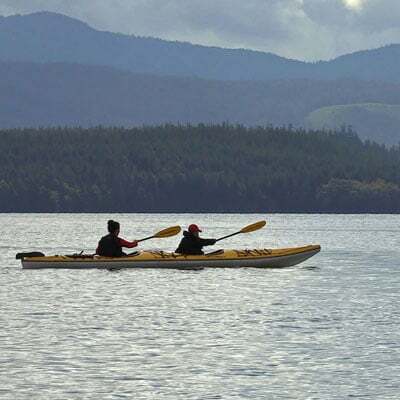 Queen Charlotte Lodge is the place where you can experience true wilderness perfectly blended with the comfort and warm hospitality of our first-class luxury lodge. QCL is your escape from the drudgery of daily life. Relax in our lodgings, enjoy our fine dining, and explore the open waters. You can be assured our adventure specialists will give you all of the support and guidance you need to have an unforgettable adventure! Tell us how we can help you make your dream fishing trip in Canada a reality! Once again I have to say that the QCL team delivered! I have been blessed to come back to the greatest fishing Lodge in the world for many years now. The entire staff is amazing. From your departure in Vancouver, the guides and dock staff, the Driftwood lunch staff, bell ringer weigh in and support staff to the chefs and wait staff you cannot beat them.